Our Vision: We are also committed to raising awareness, changing attitudes and encouraging appropriate responses to dying, death and bereavement. As each person is unique in their grief, they need to be supported in a way that is relevant and meaningful for them. We acknowledge and respond to the needs of the whole person: mentally, physically, emotionally and spiritually. We have a vision that one day every parent, child and loved one will be responded to appropriately by friends, family, professionals, organisations and government. anyone affected by the death of a child aged 18 years or under. children and young people of school age who are bereaved, or are about to be bereaved, of a parent, significant carer, sibling or friend. 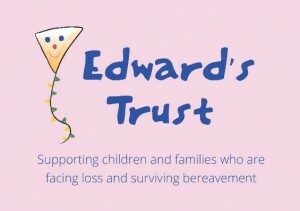 a ‘Well Being in Bereavement’ service including complementary therapies and respite bereavement care for bereaved parents and carers. The Ladywood Locality of Children’s Centres works closely with Early Days Nursery to ensure the sharing and development of excellent practice and to broaden and enhance opportunities for children and their families. This includes working together to promote BookStart and early reading opportunities for children, StartWell accreditation to increase understanding of the importance of physical activity and a healthy diet, developing both an Designated Safeguarding Lead Network and Early Years Network to ensure practitioners are confident in their role and have access to training and information and access to specific training and reflection with the Children’s Centre Teacher. Early Days also sit on the Hub Integration Meeting enabling a strong strategic voice for early years. 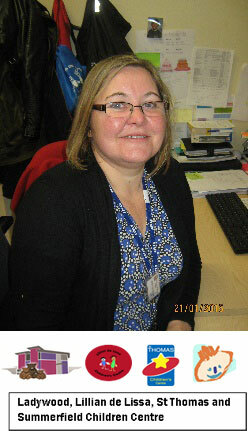 My name is Cath and I am the Children’s Centre Teacher for the Ladywood Locality. Part of my job is to work with nurseries to support them with their learning and development to raise standards. At the Children’s Centre we provide workshops to support practitioners with their provision. With five locations throughout the Midlands PTP is a local, friendly face providing a wide variety of no nonsense, cost effective solutions. Whether an employer is looking to recruit a young person for an Apprenticeship programme, needing support with Health and Safety or Management Development or any other training needs for the existing workforce then PTP can offer solutions with a whole organisational approach. PTP works as an extension of any business and offers a complete bespoke service to a company to provide the precise and direct training that is needed to bridge skill gaps and encourage future development.